Tulsa air conditioning repair technicians Circle B Mechanical have been very busy this summer answering service calls. Once you have had your air conditioner serviced it is important to remember to change your air filter regularly. A dirty air filter can cause the air intake to become blocked and can damage your air conditioning unit. How Does my Home’s Air Conditioning Filter Get So Dirty? The air intake vent inside your home pulls the dust, mold, pollen, and pet dander out of the air and into the AC filter. The type of air conditioning filter used in your home’s air conditioning unit will determine the amount of allergens that become trapped in the air conditioning filter. The better the filter, the cleaner your air duct system will be, as well as higher the quality of air in your home. There are several different types of air filters used in your home’s heating and air conditioning systems. Panel air filters are disposable and typically made of fiberglass. 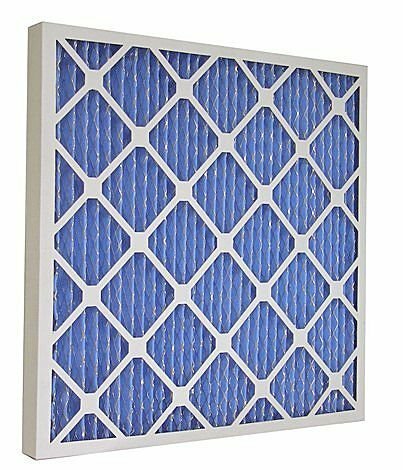 These air filters are relatively cheap and are only designed to filter out large dust particles. Pleated air filters are a step up from the panel air filters. They cost a little more but they also protect your heating and air system better than a panel air filter. This is because the pleats in the filter allow more dirt and dust to become trapped in the filter. The EPA suggests that pleated air filters can increase indoor air quality. Electrostatic air filters are made of electronically charged fibers. electrostatic air filters are designed to magnetically attract indoor air pollutants. This unique feature can make them extremely efficient and desirable to many Tulsa homeowners. If you aren’t sure how to check your home’s air conditioning filters and properly inspect them, call the Tulsa air conditioning service and repair specialists at Circle B Mechanical at 918-367-6298 today! This entry was posted in Air Quality and tagged air conditioning repair, Air conditioning service, filter changes, Indoor Air Quality. Bookmark the permalink.